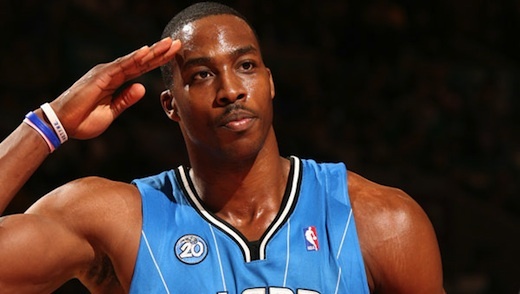 Could Dwight Howard be a good fit with the Dallas Mavericks? The Dallas Mavericks are coming off their most successful season in franchise history as they were finally able to win an NBA title and prove to the rest of the league that they are a force to be reckoned with from here on out. Even though the Mavs are built to win for at least one or two more years, the consensus is that they could use some younger talent moving forward in order to keep up with teams like the Chicago Bulls and the Miami Heat. Heading into the upcoming NBA regular season, the Dallas Mavericks have some big decisions to make as they have three free agents to either re-sign or let move on to another team. The biggest priority for the Mavs at this point in time in terms of free agency is re-signing backup point guard J.J. Barea. With Barea coming into his own during the playoffs last season, the Mavs know that value of their backup and will hope that he will return. After re-signing J.J. Barea, the Dallas Mavericks will put all their energy into re-signing forward Caron Butler and center Tyson Chandler. These two free agents are also pivotal to the success of the team moving forward, but they might be used in a different way as they could be involved in a sign-and-trade deal for superstar center Dwight Howard of the Orlando Magic. Last season the Orlando Magic did everything they could to convince their face of the franchise in Dwight Howard to stay with the team. With Howard becoming a free agent after next season, the pressure is on the Magic to get him to re-sign a contract extension as soon as possible. The only problem the team faces right now is that Dwight Howard has made it known that he intends to become a free agent after next season which might force the Orlando Magic to trade him before next season or before the NBA trade deadline which usually is in February. This situation is very similar to the one in the Mile High City last year when the Denver Nuggets were forced to trade superstar forward Carmelo Anthony because the perennial All-Star refused to sign a three-year contract extension. So just before the NBA trade deadline, the Denver Nuggets traded Melo to the New York Knicks. Next season, the Orlando Magic will most likely have to do the same thing and one potential suitor for Dwight Howard is with the Dallas Mavericks. The Mavs would like to keep the same championship team intact, but knowing Mavs’ owner Mark Cuban if he had the chance to get another superstar like Dwight Howard to play alongside Dirk Nowitzki he would jump at the opportunity. In my opinion, the Dallas Mavericks best option would be to sign-and-trade both Caron Butler and Tyson Chandler to the Orlando Magic for Dwight Howard. If Mark Cuban can make this deal happen, the Mavs will almost certainly be favorites to repeat next season.